Your browser settings do not allow you to see the dynamic text that is appearing here. Technology is rapidly expanding and changing today's business environment. Companies need the ability to quickly implement the best computing and networking solution, no matter where it comes from. Doing so can be a demanding task for most businesses. By the time they develop the skills to implement a managed computing networking system, their business processes and the software to run them may be obsolete. Why not choose a partner to help you achieve that goal successfully? 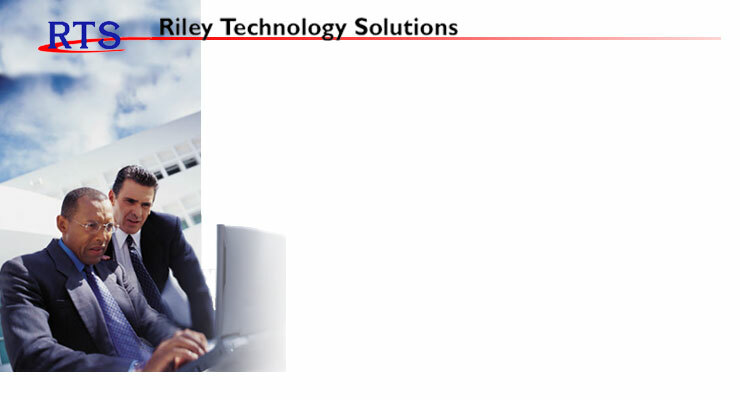 Whether installing a new managed network infrastructure or upgrading your current computing environment, Riley Technology Solutions has the experience and the expertise to help your company stay ahead of the competition and grow within your industry.